Following the death, in 2017, of his 96-year-old father, a World War II veteran, Robert Schoen set off on a coast-to-coast journey. After stepping into the Pacific Ocean in Southern California, he walked east, through homeless communities, ghost towns, and the Mojave Desert for 40 days and nights, until he faced defeat by a heat dome that brought extreme temperatures to the Southwest. Depressed and disappointed, he returned home.Early the following year, he was back on the road, determined to complete his journey. In spite of a brief medical emergency that temporarily sidelined him, he persevered through temperatures in the low 20°s, steep climbs, ongoing blisters, a threat from a crazy person, bedbugs, barbed wire, rain, lightning, fire, and smoke until, 2,644 miles and 14 states later, he waded into the Atlantic Ocean.This is a photojournalistic tour of America told with humor and passion by a man who experienced the best and worst of what our country—and its people—has to offer. Many people have a to-do list, but whose list includes “Walk Across America?” Answer: Robert Schoen’s list! 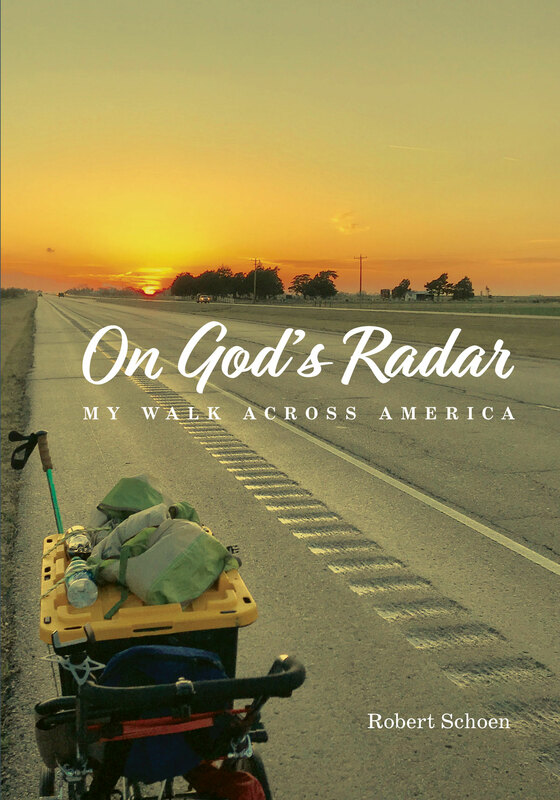 On God’s Radar follows the ups and downs of his trip along unfriendly sidewalks and impassable roadways; nights in crude campsites, odd motels, and the backyards of friendly strangers; and 25-mile days walking through heat, cold, wind, and rain. Most importantly, we meet the diverse and inviting characters Schoen encountered along his journey. Bob Schoen’s walk across America tells a story of fierce perseverance and a willingness to connect across cultural, political, and religious lines. Mostly, though, it’s a master class in curiosity about what the next day might bring. In an era when some people fear walking out their front door, Robert walked across the country, revealing the generosity and compassion that still live in America. He truly embodies an “act young to be young” philosophy, and shows that it’s never too late to get fit and live life to its fullest! I found it fascinating reading about Robert’s trials and tribulations as he trekked across America. He took risks many of us would never take—I know I never would! I especially loved seeing the connections he made with people across the country. It was so enjoyable sharing his adventure! When you order a book via the website Robert will sign a custom message or dedication. 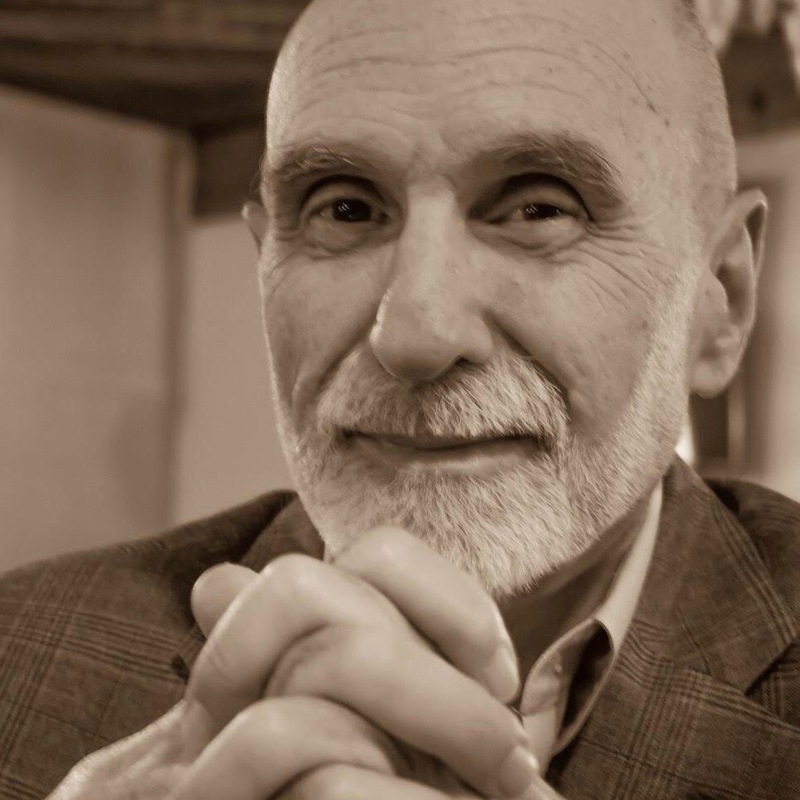 Robert Schoen is the author of the award-winning book What I Wish My Christian Friends Knew About Judaism and the co-author (with Catherine deCuir) of the novel The Rabbi Finds Her Way. He is a musician and has served as Composer-in-Residence at Temple Sinai in Oakland, California.